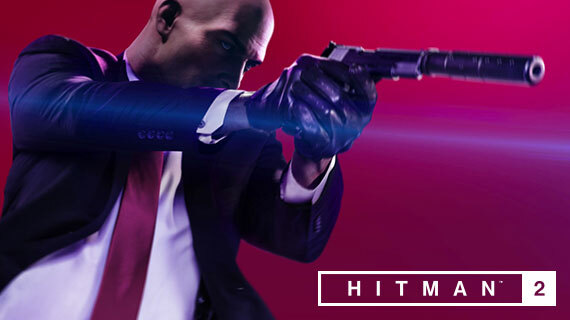 With almost 20 years of legacy behind it in addition to 10 games and two movies, Hitman is one of the biggest franchises in gaming. It’s also had a knack for retaining its unique creative vision throughout: large, open-ended levels, player choice, killer visuals, and a bald protagonist with a penchant for playing dress-up. The nucleus of Hitman has remained intact with every instalment, but the particulars have proved memorable. Let’s take a look back at the long and dark history of the series. What’s striking about this title 18 years on is how firmly the foundations of the series are laid. Although the levels can’t compete with the modern games in terms of raw cubic metres, for the time they’re enormous and designed with a recognisable eye for multi-routing. AI guards and civilians populate the levels, running their own routines and practically begging to be choked out in a back alley and thrown into a skip. Disguises work as they do now, opening up access to new areas of the map. The fiber wire, silverballer pistols and vials of poison are present and correct, too. Io originally intended Codename 47 to be a fast-paced shooter inspired by John Woo’s Hong Kong blood opera cinema, but on publisher Eidos’ recommendation they slowed the action down to a more measured pace so that players could take in the impressive graphics tech - ragdoll physics and cloth movement simulation were new ground for 3D gaming at the time. Releasing for the first time across both PC and consoles, the sequel to Agent 47 brought much-needed mechanical refinement and a greater variety of levels, from Italian Villas to mansion soirees and a Japanese fortress. The basics remained intact as 47 disguised himself as guards or guests and then moved in on his targets, but this time there were more signature kills and thus greater replay value to every mission. Eliminating a target by preparing a deadly fugu fish the wrong way will always be a hall of fame moment in the series. The story ventured further into 47’s character this time, having established him as a lab-grown super soldier in the first game. Now freed from his work with the ICA, 47 tries to start a new life and seeks guidance from religion, but when his priest is kidnapped by a Russian gangster in an attempt to draw him out, he’s back at work doing what he does best. Contracts was borne of pragmatism: after Eidos acquired Io Interactive it required the same two-year release cadence that the studio had met thus far for the third Hitman title, so the team split in two. 2004’s Contracts is the work of one of those teams, remastering levels from the first game (before remastering was trendy) and adding in a few new locales, too. Once again the standard of production values and mechanical refinement increased, and this remains one of the more beloved titles in the series many years on. This is what the other team worked on - an all-time high tide mark for the Hitman franchise, featuring iconic levels that people still talk about today. The step forwards between Contracts and Blood Money is pronounced, each of its levels alive with incidental detail and new interaction options. Combat was improved from the ground up, moored to a more dependable system and bolstered by still more signature kill options in each level. And the levels themselves set a blueprint that Io are still working from today - you can see Blood Money’s DNA in Sapienza et al. In a radical departure from the franchise pillars thus far, Absolution eschewed the sandbox approach for a linear, story-driven Hitman game which scored players harshly for entering combat or being spotted by enemies. The fan response was negative enough that Io would return to the more familiar Blood Money-esque design template for its next game. Jettisoning the scoring system and level design from Absolution, Hitman took obvious inspiration from Contracts and Blood Money instead. Here, some of the series’ biggest ever levels are found, and within them multiple grand murderous set-pieces. More than ever, Hitman 2016 rewarded repeated playthroughs of each mission by offering new equipment and timed events. There was a great deal of dynamic shifting from level to level, as Sapieza let you operate freely as an incognito civilian while Colorado threw you straight into hostile enemy territory - being spotted by any NPC here meant a big fight. The episodic release cadence raised eyebrows at first, but the consistently high standard of its missions and mechanics won fans over and put the game in the upper echelons of the franchise.